High quality headphone extension cable with full size 1/4″ 6.35 mm connectors. The male connectors is a Neutrik NPX3-B. Female connector is a Neutrik NJ3FC6-BAG with a locking mechanism. The cable is made with 0.75mm OFC copper cores and is high quality. No screening in the cable. Soft black flexible PVC cable jacket. These cable are built by hand in our own workshop to very high standard using high quality cable, connectors and solder. The cable cores are far thicker than most other headphone cables. Lots of copper in this cable. Dont let the low price put you off, these are made with quality parts for a sensible price. We can make cables to any length you need and also with any connector preference you prefer. 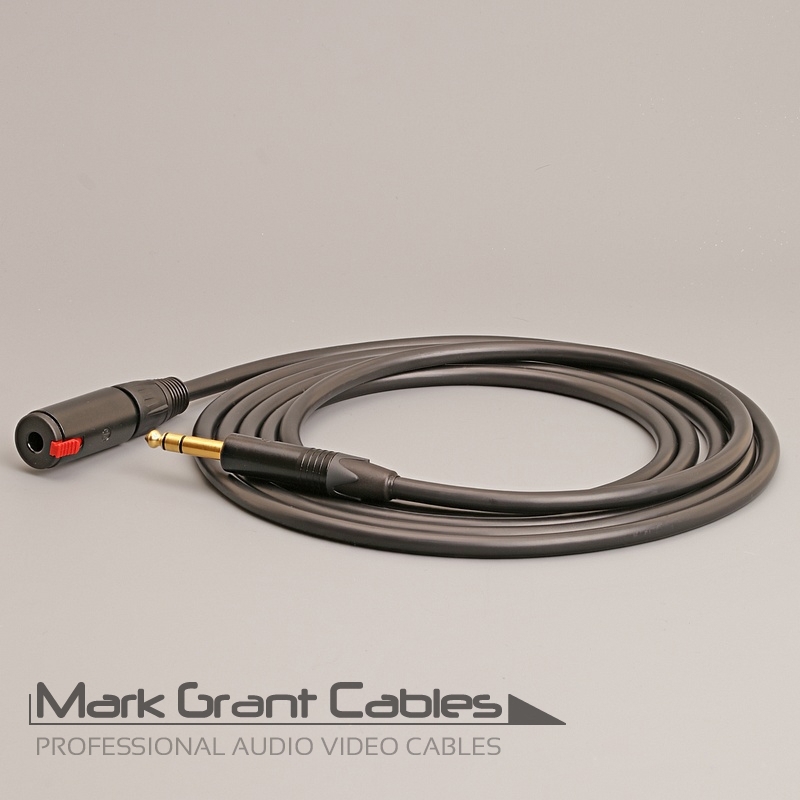 Contact Mark with any requests as we make dozens of different cable types.